How you should take care of your linen fabrics, linen curtains, cotton fabrics and cotton curtains? 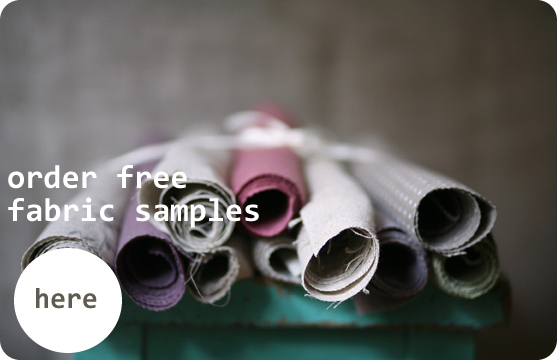 About Our Linen Fabrics and Cotton Fabrics. How to take care of your linen and cotton curtains. All linen consists exclusively of flax thread. In half linen, the warp is composed of cotton yarn and the weft of flax thread. It is important to remember when considering care of linen that cotton soils more quickly than linen and must therefore be washed more often. So even if pure linen is a little more expensive than cotton, it may be economic in the long run if the article is to be used often. The article is washed according to whether it is natural / unbleached, semi-bleached or colored. Unbleached preserves its original color best if perborate and optical brightener-free washing detergent is used. Although linen, like cotton, has a high abrasion resistance and tensile strength when wet, one should always try to wash linen as gently as possible. This way it will last for generations. The washing temperature should be approximately 60 Celcius providing more pronounced stains do not necessitate a higher temperature. The temperature should not, however, exceed 80 Celcius as this can reduce the elasticity, shininess and strength of the linen. For thinner fabrics such as a number of curtains, a more gentle washing method should be chosen than that used for thick cloths and other items. This is most easily achieved by using a large quantity of water in relation to the number of items being washed. Particularly delicate items may be put in a net bag to reduce wear and tear by the washing machine. The items should be shortly spin-dried as gently as possible. Never mix linen with dark-colored fabrics. For colored linen, follow the detergent manufacturer’s instructions for ordinary 60 Celcius color wash. If a washing machine is not used, it is advisable to check the temperature with help of a thermometer to ensure that the fabric is not washed for longer than 15 minutes once maximum temperature has been reached. Avoid laying wet linen fabrics on top of one another. Roll them together instead while still damp. Linen should not be tumbler-dried. Natural and dyed linen should not be dried in bright sunlight. We recommend that all smooth linen textiles are mangled cold to preserve the beauty of stiff, shiny napkins and tablecloths. Mangle napkins and hand towels unfolded. Lay four to six on a table in a step-like formation, one on top of the other and pull them into shape before mangling. Cloths and sheets may be folded into three or four. Try, when possible, to fold in different places each time the fabric is mangled, as the strain is greatest at the folds. Most of these instructions apply to cotton fabrics also. Please note that we do not advice you to wash made to measure cotton and linen curtains or made to measure linen blinds with water. IMPORTANT: Do not wash linen curtains and blinds in the water - ONLY dry cleaning is suitable for the curtains and the blinds. Very delicate hand wash can be used in certain cases but please note that water might cause shrinkage unless the fabric is pre-shrunk.